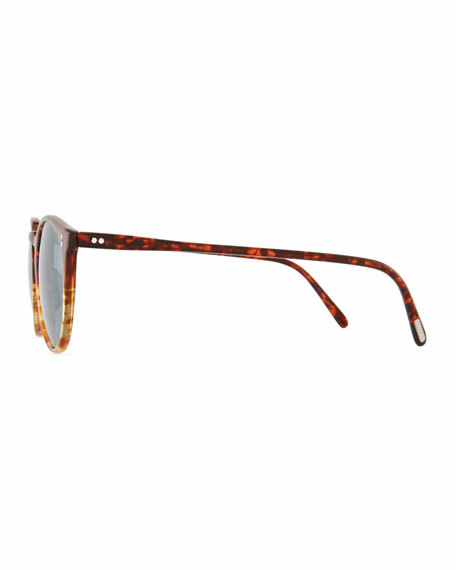 Launched in 1988, the O'Malley sun remains one of the most recognizable and iconic frames in the eyewear industry. 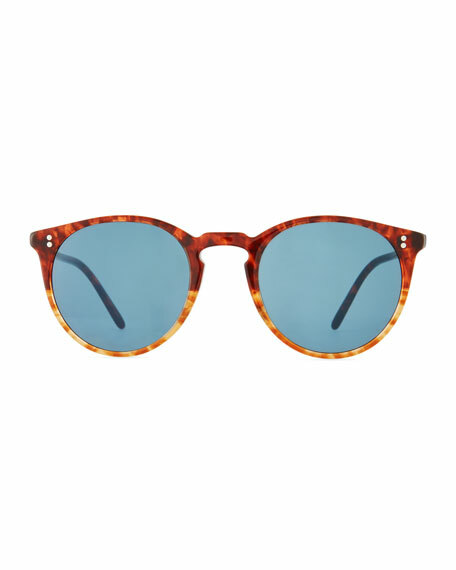 Oliver People The Row "O'Malley" round acetate sunglasses. The iconic "O'Malley" reinterpreted in a new way. Pin detail at frame front and temples. Barton Perreira round plastic/metal sunglasses. 52mm lens width. Solid, round lenses. Adjustable nose pads. Slim, wire temples with capped earpiece. Barton Perreira round plastic/metal sunglasses. 52mm lens width. Solid, round lenses. Adjustable nose pads. Slim, wire temples with capped earpiece. Universal fit, comfortable for different face shapes. 100% UVA/UVB protection. Can be fitted with prescription lenses. 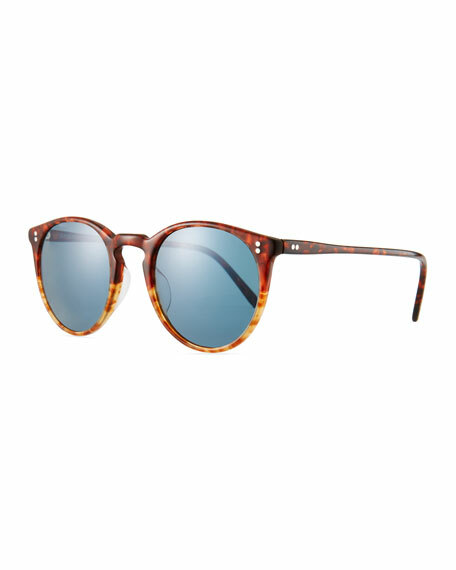 Barton Perreira "Volair" square sunglasses. Silvertone metal frames. Gradient blue lenses. Universal fit, comfortable for different face shapes. Double nose bridge. Quilt-embossed temples. 100% UVA/UVB protection. Handmade in Japan. Cazal acetate/metal sunglasses. Round frames in golden trim with brow bar. Eye/bridge/temple (in mm): 48-21-150. Plastic nose pads for comfort. Cazal acetate/metal sunglasses. Round frames in golden trim with brow bar. Eye/bridge/temple (in mm): 48-21-150. Plastic nose pads for comfort. Logo script at temples. Thin, tapered arms. 100% UVA/UVB protection. Model number: 745. Made in Germany of Italian materials.